The demand for freelance interior designers is just as high as is the case for those who work in large firms or agencies. Why is the demand high? Because the freelancers know their craft. They invest time and effort into improving their skills. They go through all the appropriate training and education. They have the certification that gives them the right to offer interior design services. What is more, they understand the principles of interior design. 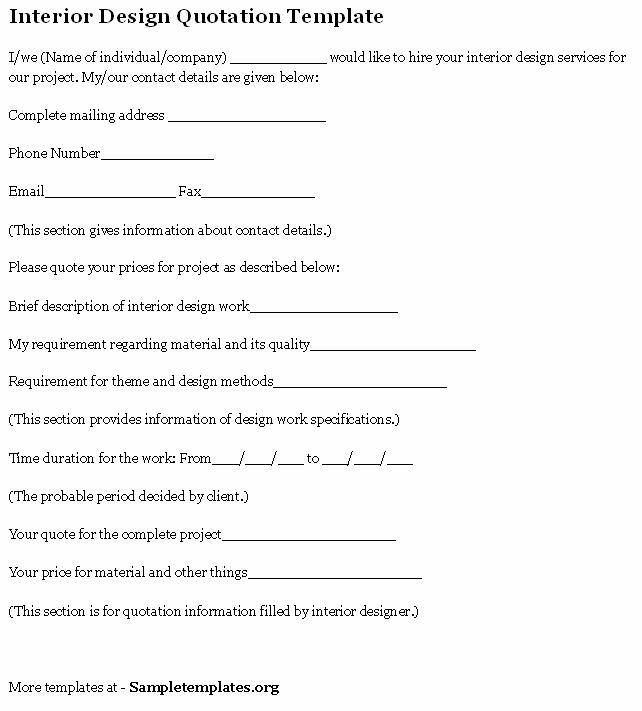 The proof is in the interior design brief example, which helps them in the following areas. Yes, freelancers are capable of producing eye-catching displays. They guarantee that via the design brief. However, guaranteeing something is often different from the actual result. With these freelance interior designers, though, you never have a reason for worrying yourself sick. Their displays fit commercial and domestic or residential clients perfectly. They know how to set everything at their proper place or station. The entire design must have a running theme. That theme has to be evident for all to see. The freelance designers use various elements to make the design come alive. The designer creates a visual guide that highlights the space’s strong points. The consultancy’s clients need assurance that the freelance designer will capture all the important aspects of the property’s interior. Give them that assurance courtesy of the interior design brief example. The space requires the right balance. How does the freelance designer achieve this? By distributing the elements appropriately. Additionally, that happens through the even distribution of visual weight. The result of this is the freelancer then achieves visual equilibrium. Clients may not understand how all these will work out. For this reason, it’s important to offer them a bit of education using the interior design brief example. Mention how you intend to achieve proper balance or equilibrium. Yes, rhythm is important to effective interior designing for all the freelance clients. Here, rhythm refers to how the different elements of the design move or appear to move. It refers to the visual tempo that the design creates. There has to be order in the entire design. How do freelancer interior designers achieve rhythm? They do that simply through progression, alternation, and repetition. Again, give clients a hint of what this means to them via the brief. A well-designed interior space incorporates elements that capture all human senses. The best consultant designers know how to accomplish this with minimum fuss. They do this with background music or enhancing human conversations. They allow clients to touch the different components. The design also has to smell nice. Find creative ways of introducing different elements that capture all the five human senses. Let clients how you intend to do that through the interior design brief example. It’s incumbent upon you – the freelancer – to manage the space the client allows you to put all your interior design expertise on very well. What is the client’s most important piece? How will you make it the center of the space you’re designing? What does the client wish to display prominently? Here, you can’t operate with your own ideas alone. The client’s input is crucial in interior design. Without it, you would face major obstacles and may never see the light of day. Lastly, you should remain in control of the entire process from start to finish. You are the designer. The fact that you work as a consultant – either alone or with a very small team – doesn’t deny you the voice you need to speak up and show the client the best solutions. Most importantly, seek to exceed customer expectation. 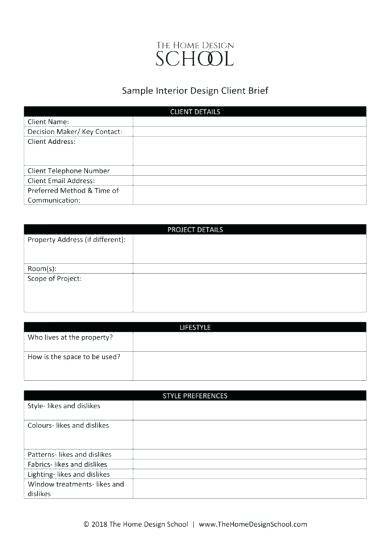 Use the interior design brief example to set the ground for all that.